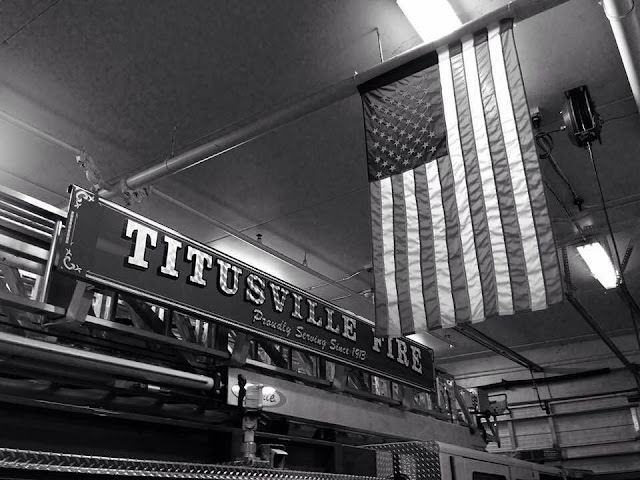 TITUSVILLE, Florida - A firefighter with the Titusville Police Department was knocked unconscious as a result of injuries he sustained during a fall while preparing to respond to a fire during the afternoon on the Fourth of July. Fellow fire crew members immediately began emergency treatment and a trauma alert was issued. The firefighter was then flown to Holmes Regional Medical Center in Melbourne for further treatment. So far, results from the firefighter's CT scan performed at the hospital are clear. There are no fractures or internal bleeding, but some staples were required for two lacerations.